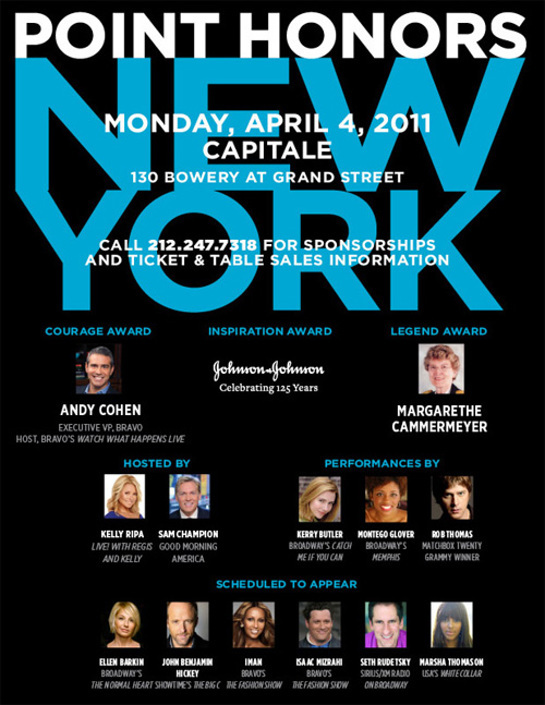 A host of celebrities will help honor the current and future champions of the Lesbian, Gay, Bisexual and Transgender (LGBT) community at the Point Foundation's Gala in New York on April 4. 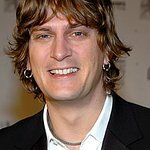 Special guests expected include Kelly Ripa and Iman, and performers will include Rob Thomas. Point Foundation is the largest scholarship-granting organization for lesbian, gay, bisexual and transgender (LGBT) students of merit in the US. Point provides financial support, leadership training, mentoring and hope to LGBT individuals who are marginalized because of their sexual orientation, gender identity or gender expression. Point provides its scholars with the financial ability to attend the nation’s foremost higher educational institutions and its donors and mentors with the rare satisfaction of directly investing their resources and time in future generations of leaders. The event takes place at Capitale, 130 Bowery at Grand Street. More information can be found here.